Baby in incubator. Image courtesy of Shutterstock. This 40 credit degree-level module will further develop your knowledge and skills in dealing with the delivery and management of specialist nursing care to infants and their families in the neonatal intensive care unit. This module will enable you to develop and utilise the appropriate skills and contribute to an environment conducive to the provision of high quality intensive care to sick and pre-term infants and their families by increasing your knowledge and critical understanding of current research and practice. 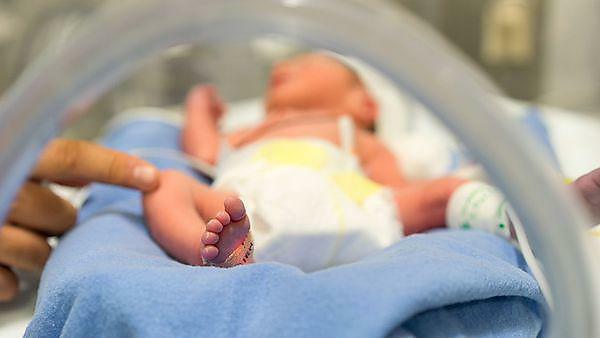 This module is delivered by University Hospitals Plymouth NHS Trust, in partnership with University of Plymouth, at the Derriford Hospital site in close proximity to the clinical area of a level three neonatal service. This enables specialist clinicians and allied health professionals to contribute directly to the taught content ensuring clinical currency and high quality theory practice links throughout the taught component. contribute to an environment in which clinical practice is critically developed using an evidence-based philosophy. 23 January, 6 and 27 February, 6 and 27 March, 5 April, and 8 and 15 May 2019, with one PSD to be allocated between the 27 March and 5 April 2019. 4. a portfolio of clinical experience, learning contracts and reflection evidencing achievement of competence. This module can be studied as a standalone module, as a core module towards the BSc (Hons) Professional Development in Neonatal Care or as an optional module towards some other BSc (Hons) Professional Development pathways - please contact the Professional Development Unit for further information. On achievement of this module and Contemporary issues in the care of the newborn (HEAC396) you will have attained ‘Qualified in Speciality’ status as outlined in the Neonatal Toolkit (DOH 2009). "This is a well established module which has been run by Derriford NICU in partnership with the University of Plymouth for over ten years. The module content and delivery is evaluated and developed each year to optimise the student experience and outcomes in line with current educational and clinical practice." have previously studied at level 5 (i.e. diploma of higher education or equivalent).